Another GS pair is set to take the spotlight this weekend as Jordan Brand is set to release a new edition of the Air Jordan 6 GS that is expected to get a lot of attention. 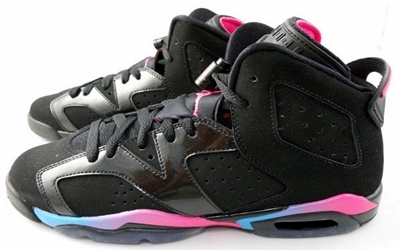 This Saturday, September 8, the Air Jordan 6 GS “Pink Flash” is set to come out, featuring a vibrant pink flash accents paired marina blue hints to produce an electrifying kick. The silhouette features an upper part dominated by a black nubuck with several patent leather overlays. Make sure to check this out this Saturday!